A neck therapy jet massage system is one of the most relaxing features in a spa. That’s why MAAX Spas® has engineered the reverse molded Comfort Collar™. This unique cushion wraps around your neck, gently cradling your head while adjustable cyclone jets massage neck and shoulder muscles. The Comfort Collar™ also allows a relaxing massage above the water line, it’s like having your neck massaged by a loved one. 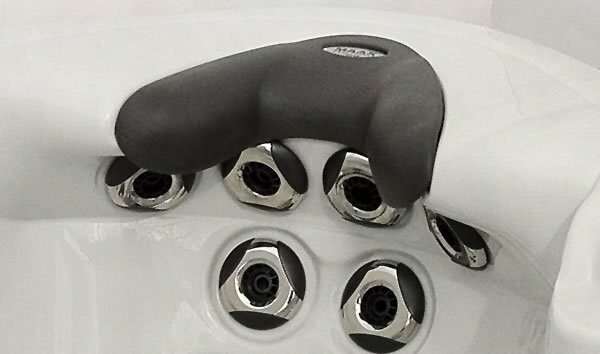 This hallmark feature is one of the reasons many have already chosen MAAX Spas® hot tubs.